These two bags are the traditional personal kit every woman needed to carry her essential gear. The smaller, 7”x4.5” is a belt bag made using the lower leg hide from a deer with red wool trim, antique trade beads and antler button closure. 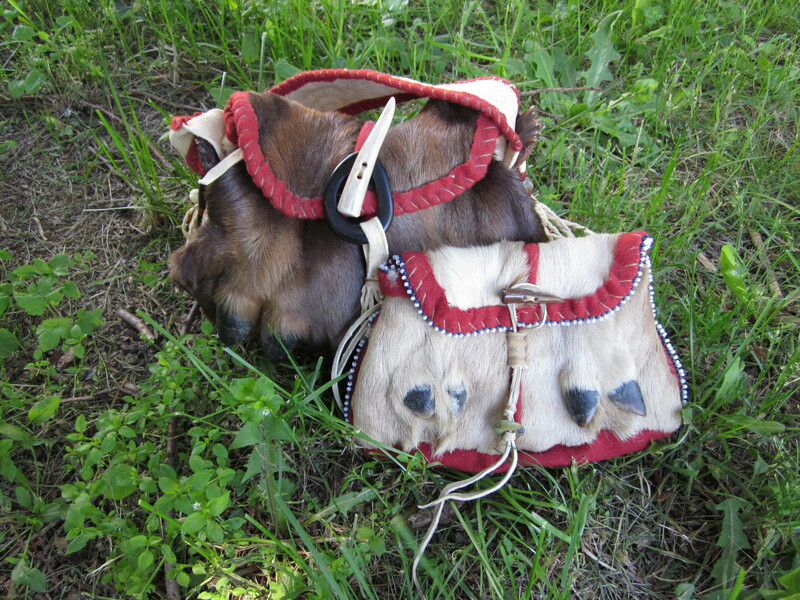 The larger bag, 10”x7” is made from the lower leg hide of an elk. Learning a new medium. Temari is a traditional art form from Japan. It uses thread wound into a sphere and then marked with a geometric grid. Using the under-structure of these lines, a design is embroidered over the surface. 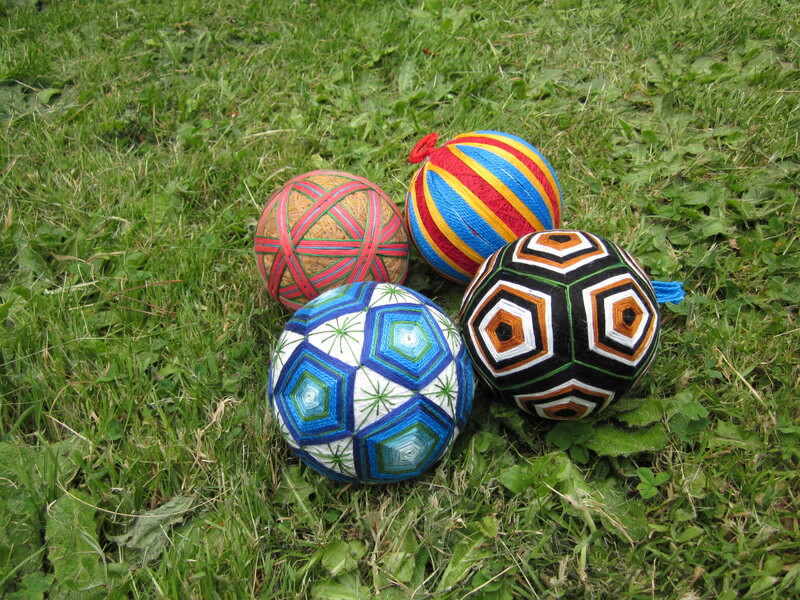 These balls are 3” to 4” diameter, so small and brilliant is their world. It seems that diving even deeper into the realm of detail and calculation and relationship of elements is the heart of this new direction. The challenge so far is centered around acceptance of errors in the process of learning, and spending more time and focus on setting up the under structure so that what comes after and covers this structure becomes more balanced. The avenue of searching for perfection is alive and well. 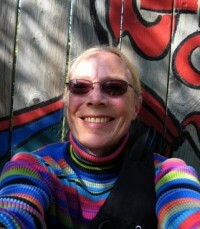 It is the search that stirs the juices. 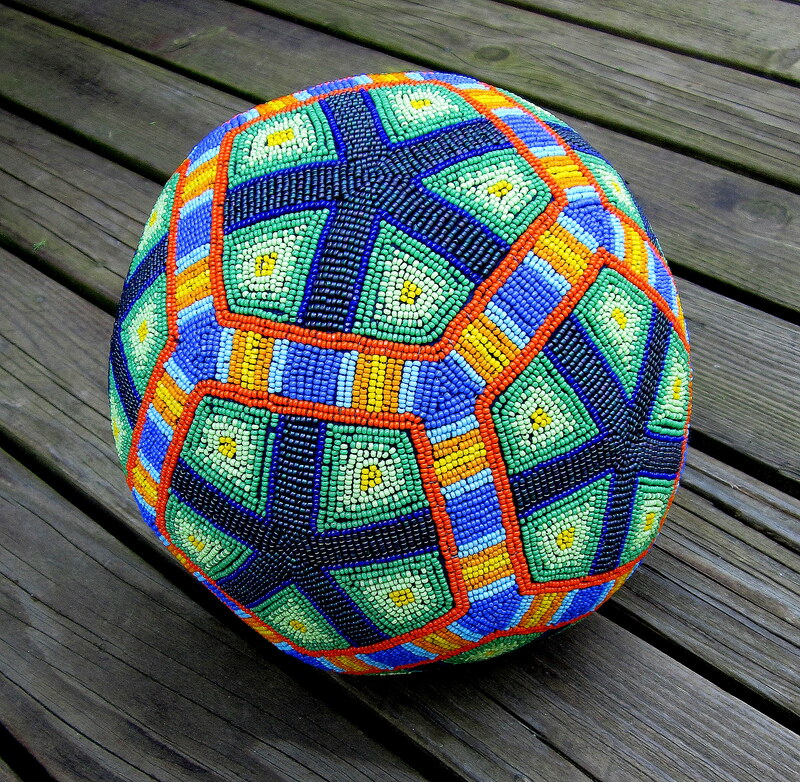 The newest dodecahedron is 8” diameter. I translated a design structure from the world of Temari. I love the under-over idea of separate patterns holding space on the same sphere.